Teacher May is an ACT (Associate in Computer Technology) graduate. 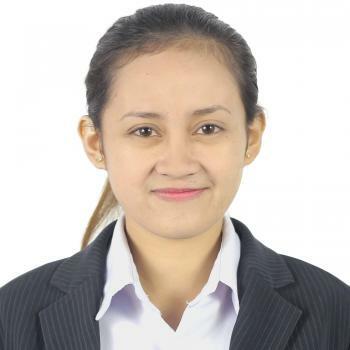 She is currently studying Bachelor of Secondary Education Major in English. She worked as a Customer Service Representative/Technical Support Representative in the BPO industry for almost two years. She likes reading books and watching movies. She's patient, optimistic, and a good listener. She decided to become an ESL teacher because she likes to share her knowledge to other people. Thank you for your teaching me kindly. It’s good lesson for understanding the correct pronunciation.